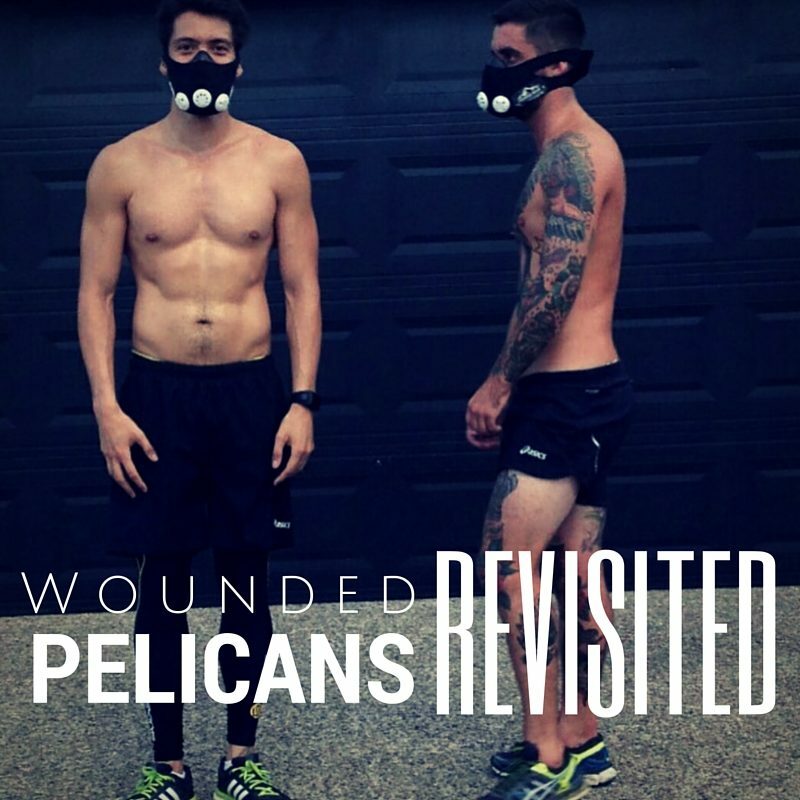 It’s been 5 months since we spoke to The Wounded Pelicans last. If you don’t remember who they are, Christopher Evans (Tofes) & Antony Sedman are two 24y/o Australians from the Gold Coast in Australia competing in an insane amount of endurance events to raise $20k for cancer research & awareness. Back in February, they had 23 planned… now they have 37 planned and already completing 21! Their next event is a 5000 stair challenge on 24 July 2014. In the last 7 months they’ve managed to raise $13.4k and are well on their way to complete their fundraising goal by competing in a 24 hour treadmill challenge on Sept 3-4 from 7am-7am. They’re organising it themselves to get the community involved and to help raise the remaining $6.6k (or more). The reason we are doing this mammoth event is for 2 reasons – to see how far we can run in 24 hours and to raise the remainder of our $20k. 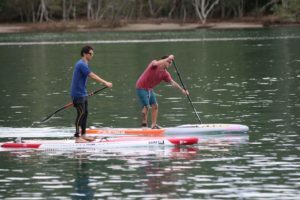 A few of the events they’ve completed already includes a couple 100km ultramarathons, a 10km stand up paddleboard race, a multiple obstacle course races. 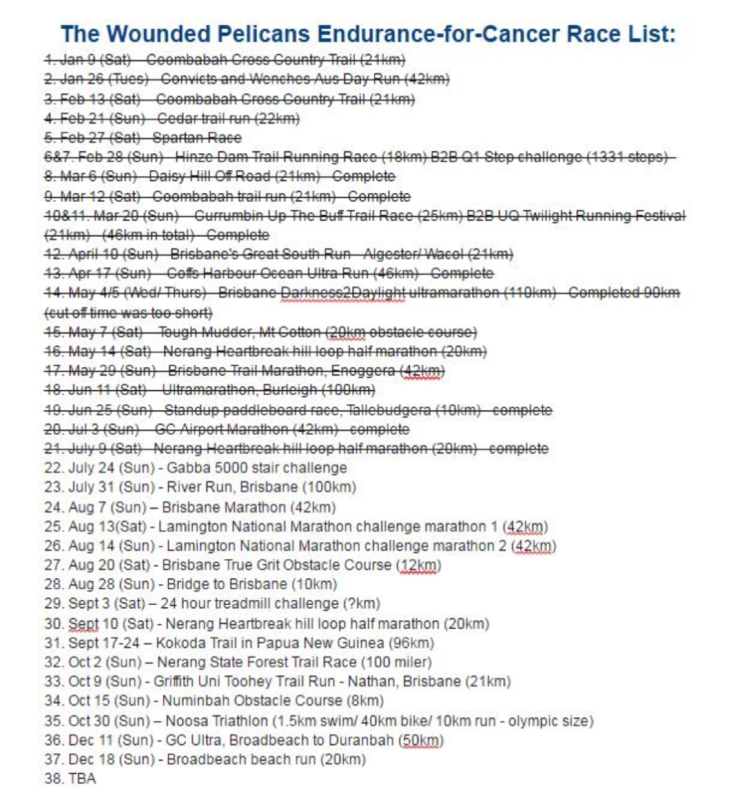 With 37 endurance events in one year, it means they’re sacrificing a great deal of their time to this project. You could say sleep is not on their side with juggling work, training, hustling brands to help, and competing in events almost every weekend! The remaining events range from 100km+ ultramarathons, b2b marathons on the same weekend, triathlons, and even the infamous Kokoda Trail in Papua New Guinea. If you’re unsure what the Kokoda Trail is, it’s one the most dangerous war trails that the troops trekked back in WW2. The 96km trek is not for the average hiker, you need to have done the training to tackle this one. Not only is it 90%+ humidity, there’s an insane amount of steep hills and muddy terrain, all with carrying your gear from start to finish. If you didn’t think the Kokoda Trail was difficult enough, the boys have a 100 mile footrace the following week. This will be their biggest test as it’s the longest (and probably toughest) race they have all year. With what they’ve done this year, it’s sparked a newfound love to continue competing in these endurance races while helping and inspiring people along the way. They’re hosting their own event in November and already looking at training people for free this year on their running goals whether it’d be a 10km or a full 42km marathon – they’re planning on becoming competing in the world’s toughest events across the globe and aim to inspire people to be constantly striving and avoiding the comfort zone. Some of the toughest events held around the world that we will be competing in include: 150 mile marathons in the Amazon of Brazil, 15 hour adventure races, a marathon near a live volcano in Chile, double ironman triathlons, 100km ultra marathons in Antarctica and Greenland, and much more. Remember to subscribe and follow us on social media and refer your friends & family. We are trying to grow our following to be as big as possible for what we are doing for cancer awareness and our vision for 2017. It would also mean a lot if you can donate any small amounts to our $20,000 fundraiser as we still have a long way to go… all donations over $2 are tax deductible.